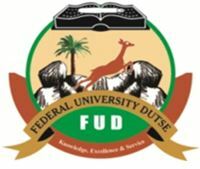 FUD Courses – List of undergraduate courses/programmes offered at the Federal University, Dutse with the admission requirements. The Federal University Dutse (FUD) is an internationally-recognized Nigerian university, and is located in Dutse, Jigawa State. Federal University Dutse has been official accredited and/or recognized by the National Universities Commission (NUC), Nigeria. Do you want to find out the list of courses you can study at the Federal University Dutse (FUD)? Below are the list of high-quality courses on offer at the Federal University Dutse. In addition to the specific entry requirements into the Institution, the following are the general entry requirements approved for admission into first degree courses for both UTME and Direct Entry candidates. Applicant must have obtained Five (5) credit passes in West African Examinations Council (WAEC), Senior School Certificate (SSC), National Examinations Council (NECO) or equivalents at not more than two sittings in subject relevant to the course of study. Applicants must write the Unified Tertiary Matriculation Examination (UTME) and attain an acceptable standard in the Use of English (Compulsory) and three subjects relevant to the proposed course of study. Candidate must attain an acceptable standard in the Unified Tertiary Matriculation Examination. See also: FUD Post UTME Form.